Using simple, organic ingredients, Bee’s Wrap produces a sustainable alternative to plastic wrap for food storage that is reusable, biodegradable, and compostable. Bee’s Wrap provides its customers with a plastic-free alternative way to keep food fresh. Combining GOTS certified organic cotton, beeswax sourced from sustainably managed hives in the United States, organic jojoba oil, and tree resin, the result is a malleable food wrap, that can be used again and again. At the end of its lifetime, the wrap can be composted or even used as natural and effective fire starters for wood stoves. Unlike plastic wrap, Bee’s Wrap is biodegradable and consequence-free for the environment and marine species. This solution was featured in Reimagining Plastics market of the 2018 Global Opportunity Report, and was selected based on the criteria of that report. Certification labels like GOTS ensure that all workers along the entire supply chain receive decent wages and work in dignified conditions, boosting the local economy. Organic, non-toxic, and biodegradable production means less waste and chemical release in production and minimises the impact on human health and the environment. Organically produced cotton uses only natural substances and obligates farmers to use sustainable and responsible methods for cotton production methods. 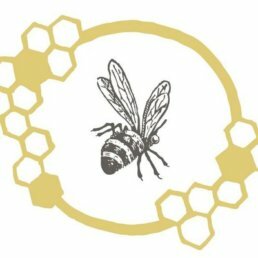 Bee’s Wrap makes fabric infused with beeswax, jojoba oil and tree resin, as an alternative to plastic for food storage.